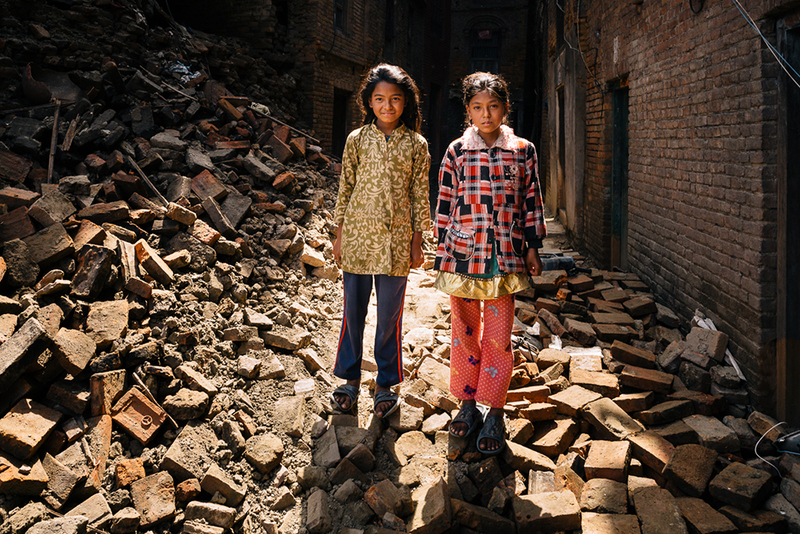 I was in Nepal exactly six years and three days before the earthquake that devastated the country on Saturday. I was resting for a few moments at the end of a narrow alleyway when these two sisters appeared, swinging their satchels and giggling to each other as they made their leisurely way home after school. I returned to Nepal this week under far less pleasing circumstances. Saturday’s earthquake has ripped the country apart. Purely by coincidence, I found myself in Bhaktapur again and at the end of very same alleyway where the two schoolgirls had appeared six years before. It’s the same street but, as you can see, so very different now. 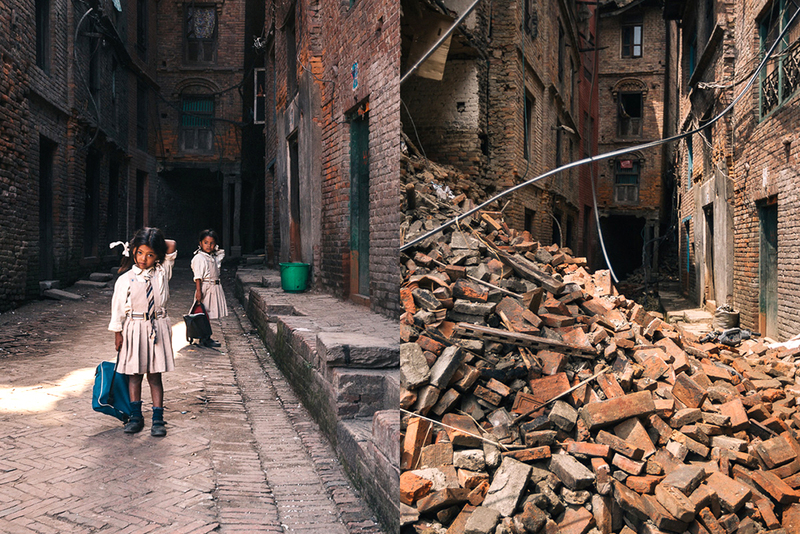 With a couple of hours free at the end of today’s assignment and with copies of these photos on my phone, I took a detour to Bhaktapur, intending to search for the two sisters. A fool’s errand perhaps. Gavin Gough is a freelance photographer based in Bangkok, Thailand. He works on assignment and is represented by Getty Images and 4Corners. You can find his work on his website, Facebook, Twitter, and Instagram. A selection of his 2015 Nepal earthquake coverage can be found here.